This week I had fun playing with the Overall Shaped Card set. These overalls are so adorable, I just couldn't resist. 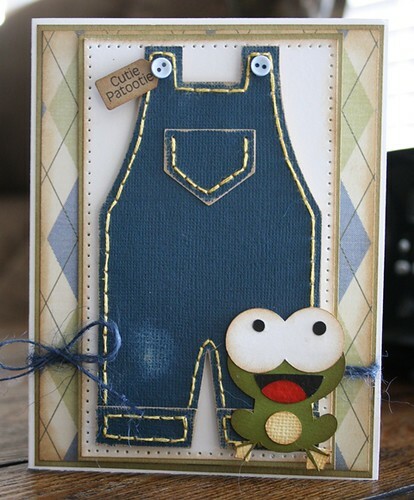 Rather than making a shaped card, I decided to add the overalls to a standard A2 card! I used Kraftcore cardstock and my Silhouette to cut out the overalls. I love the Kraftcore because when you sand it, it exposes the kraft interior of the cardstock. 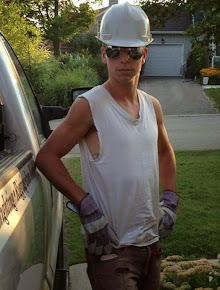 I sanded the edges and then I sanded the knee of the overalls (the knees of my boys pants were always worn out). 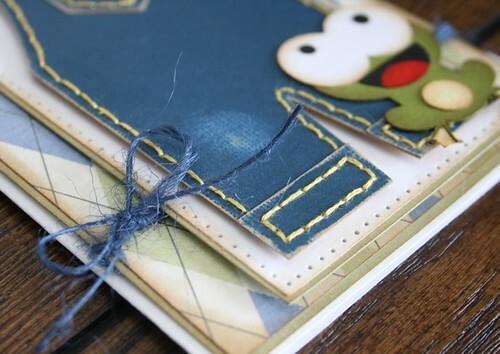 I added some stitching to the edges of the overalls (just like the detail stitching that you find on jeans). 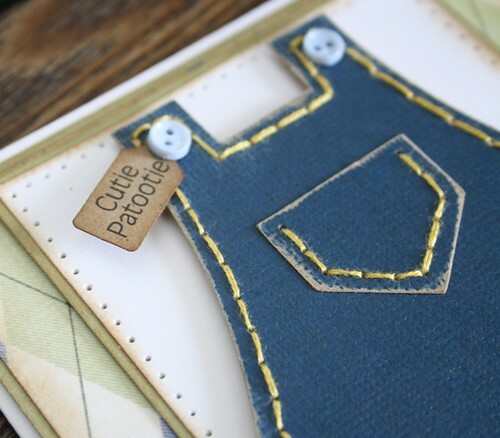 I embellished with some tiny buttons and this sweet tag using the Baby Mini Words set! 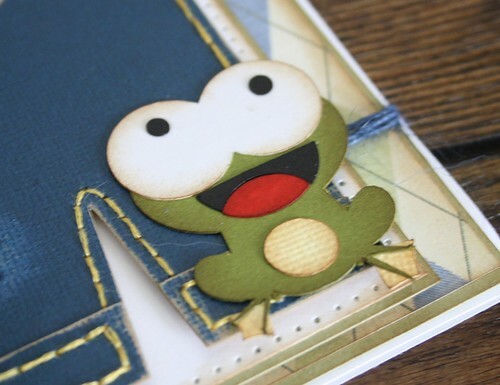 I found this sweet little frog cutting file on the Silhouette online store and I fell in love. 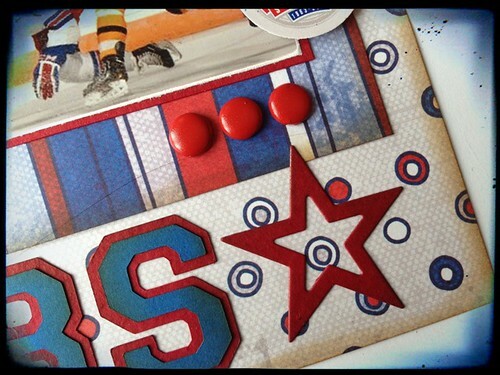 It was the perfect embellishment for my card. 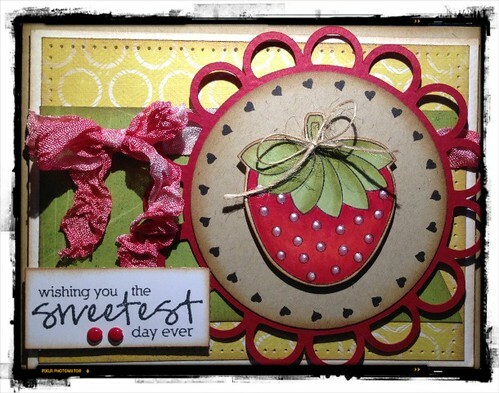 I had a blast working with the Overall Shaped Card set and I hope you feel inspired to try it yourself. Happy Monday! Hope everyone had a great weekend :). I spent some time crafting on Sunday afternoon and playing around with my next project for the Cutting Cafe. It is by far one of my favourites! 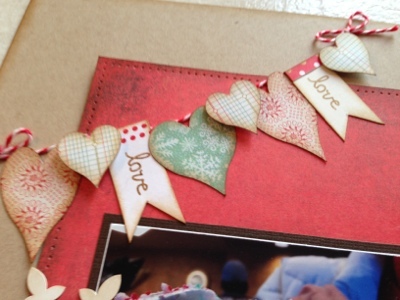 The file is called Valentine Window Card Tops. They are card tops that will fit right over the front of an A2 size card (of course you can always re-size them to fit whatever top you need). There are 17 different designs included in the set!!!! Here is the card that I made using one of the card tops. 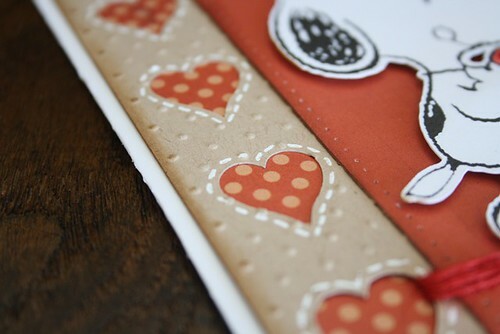 The part that I cut using the set is the kraft cardstock piece with the hearts along the left side. The hearts are perfectly placed and cut out very nicely, allowing me to put a different pattern behind them. 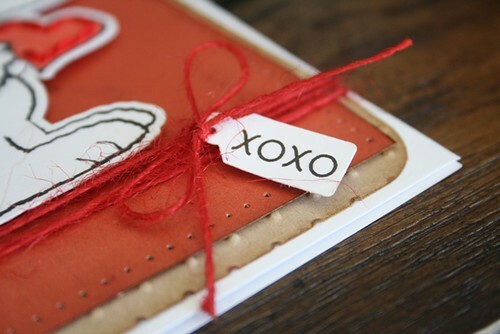 I also cut a couple of small hearts from my kraft cardstock for my card as well. 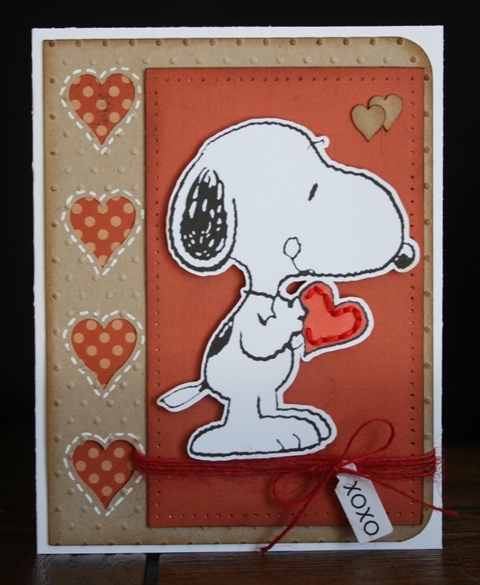 I found this adorable Snoopy image on Google and imported it into my Silhouette and used the 'print & cut' feature to make the die-cut for my card. I absolutely love this feature. I added some stitching with red floss around the heart to help it stand out. 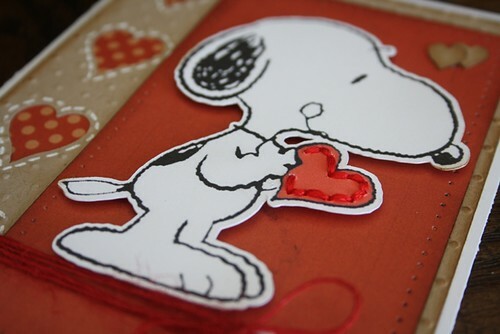 As I mentioned before, I placed some pattern paper behind the heart windows in my card top and then added some white pen stitching around each one to define them a bit. 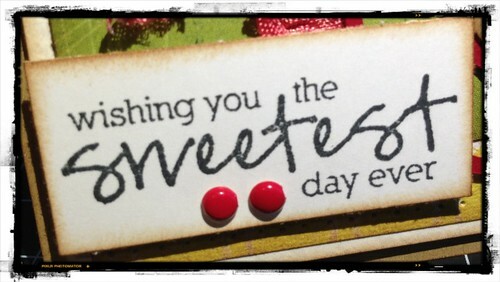 I also used the Valentine Mini Words set to make this little tag for my sentiment. 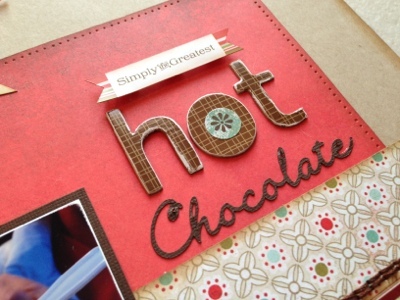 I hope you will check out these amazing card tops and give them a try. You won't be disappointed. Oh My Word Blog Hop!!! Welcome to the Oh My Word! 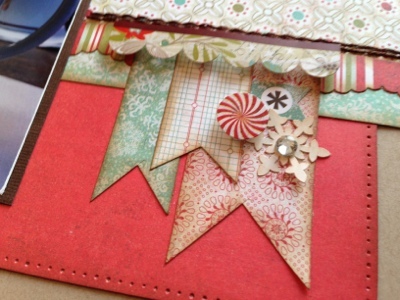 Blog Hop with Two Scrapbook Friends! 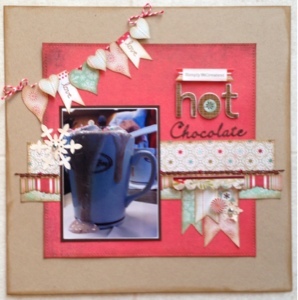 You should have arrived here from the Two Scrapbook Friends blog. If you didn’t, you might want to start at Two Scrapbook Friends, so you can read all about it and you won’t miss any of the great inspiration along the way! My word for 2013 is 'productivity'! 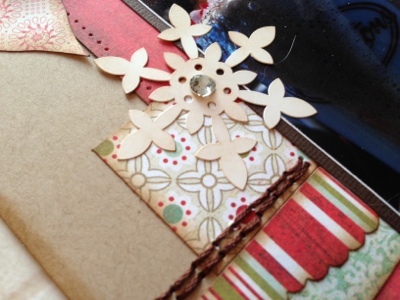 In the last part of 2012, I sort of got away from my scrapbooking.......actually, creating in general. I didn't feel motivated to do much of anything. Part of that was letting everyday life get in the way of doing what I really love to do. I think my word will be a real motivator for me and will apply to anything where there will be a tangible result.....but especially in the creativity department. I have taken on a big project this year and am really excited about it. 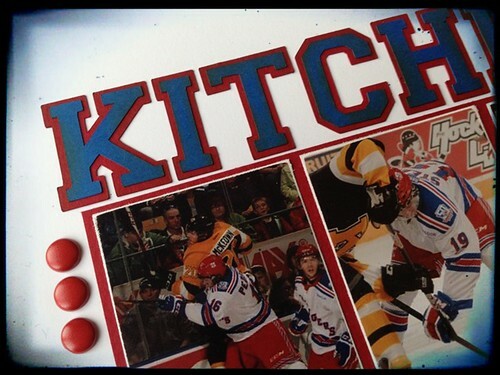 I have set a personal goal to scrapbook the Kitchener Rangers 50th season (all home games). I am a huge fan and this will be such a wonderful keepsake in years to come. I am not foolish enough to expect to have this completed in 2013, but it is not impossible. So far I have completed the cover page and the first 2 games of the season (in double page format). Here is my most recent creation for my album. 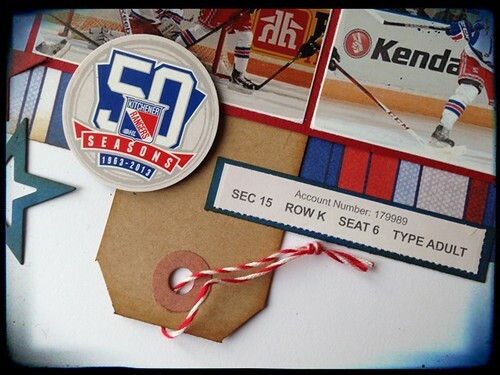 I save the tickets from each game and use them as embellishments. Sometimes I leave them as they are, and sometimes I cut them up into pieces.....depending on the layout. I have 2 tickets for each game, so it give me lots of flexibility. 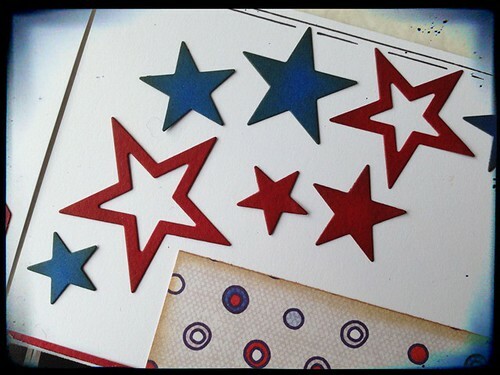 I incorporated some stars using a Die-namics die. I love that they cut different sizes and some silhouettes too. I went on a hunt to find the perfect font for my layout and found this one. It matches the font on the jersey perfectly! I combined some red brads with the other embellishments on my layout. 2. To have a second chance to win, send YOUR special word that inspires you in 2013 in an email to 2friends@execulink.com. Put "Blog Contest" in your subject line. 3. Create your own design based on your special word and upload it to our Gallery and Forum before February 28 at 11:58 pm, and receive 10 Forum Buttons towards gift certificates in the store! I created a layout using the heart shape that came with the Heart Bag! I love how versatile these files are. You receive so many different elements that give you so much flexibility when creating. I snapped this photo using my iPhone. I seem to be using my camera less and less. My phone is always with me and it is so easy to take pictures with. I used the hearts from the heart bag file and created this banner. I changed the sizes and shape of the heart to create variety. I also used some dimensional adhesive to create some 'pop'! I also created another banner using pennants. I cut strips in different widths and added the 'v' cut to one end. I layered them and added some stickers and some bling. For my title I mixed stickers, chipboard and a cardstock word that I cut using my silhouette. I love using different elements when creating a title on my pages. It really adds interest and makes it a real focal point. Along with the stickers I added to my layout, I also pierced some holes around the red background piece and added some stitching as a border. 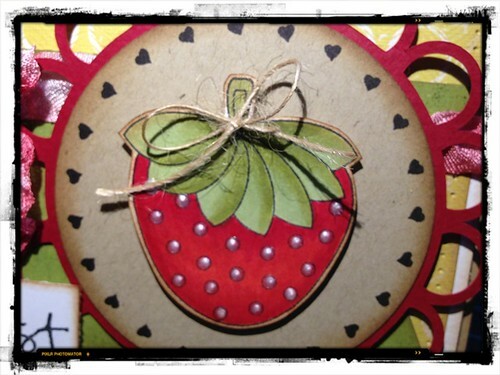 The Cutting Cafe files are a lot of fun to play with......and they are not just for cards and projects. I hope you will try them out and see what you can create. Hello! I am back with another project for the Cutting Cafe! Today I am using a file called Feb 14th. It is a printable stamp set that comes with 41 colour images and 41 black and white images. I created a card using one of the printable black and white images. I printed this circle of hearts on some craft cardstock and then used a large circle punch to cut it out. I found an awesome scalloped circle cut on my Silhouette and sized it to fit perfectly behind my circle of hearts. I dug into my stash and found a stamp set called Sweetest Day, from Jillibean Soup, and thought it would work really well with the hearts. I coloured it up using my Copics and accented with white Liquid Pearls and some twine. The stamp set came with a sentiment so I stamped it on some white cardstock and added it to the lower left corner of my card. I added a couple of red brads to match the strawberry. I pierced some holes around the yellow pattern paper for some extra detail. 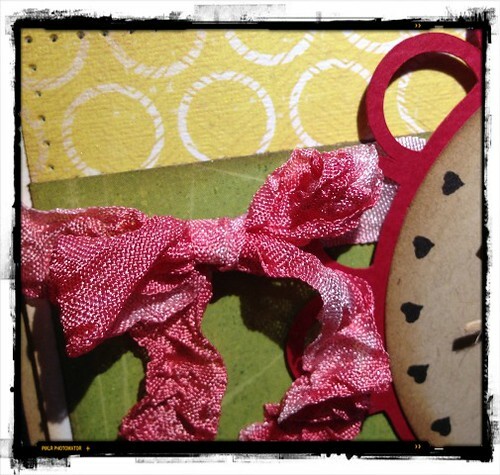 I found this crinkly ribbon in my stash and used it to tie around the card! 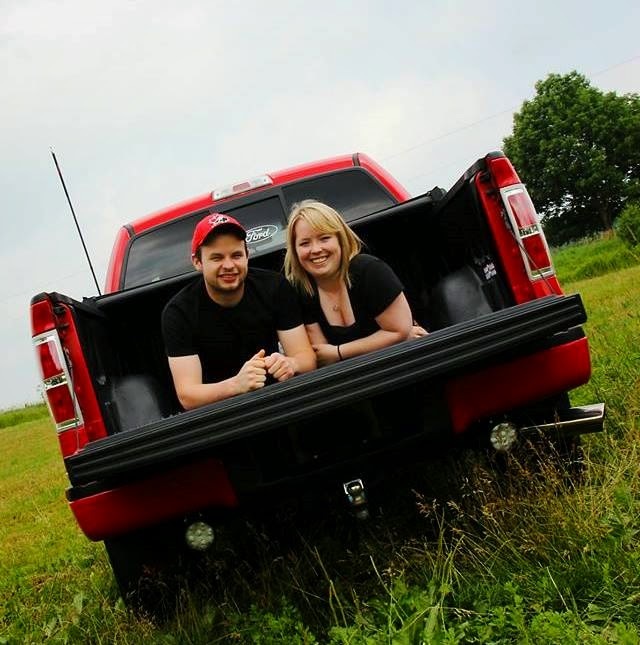 I hope you will check out this file and maybe give it a try yourself. The possibilities are endless. Hey! Today I am going to share one of the coolest Christmas gifts I received this year. Joanne (by BFF) knows me about as well as anyone and she has to put up with all my crazy likes and dislikes.....that's what friends are for, right? 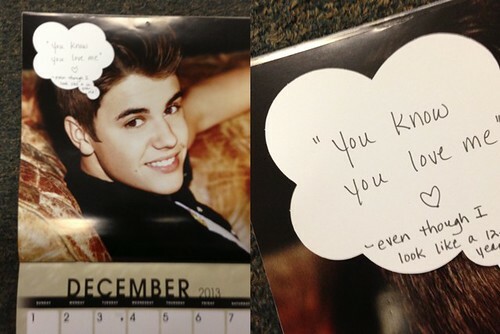 Some of you may know, I am a huge Justin Bieber fan :) Well, Joanne bought me the 2013 Justin Bieber calendar for Christmas.....pretty thoughtful, huh? She took it a step further and created a speech bubble for each month and added a little quote from Justin......to me (insert heart flutter here). Here are all the months with the quote! 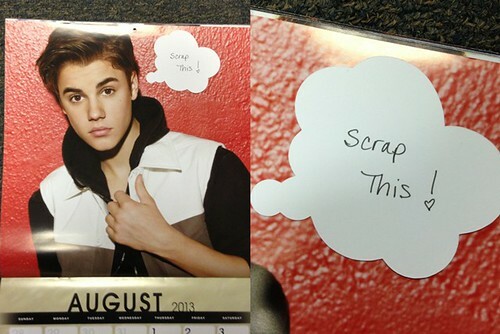 I am just thrilled with my calendar and I wanted to put it somewhere where I would see it every day. I hung it up in my 'office' because that is where I spend most of my time. This way I can also share it with Joanne and Shelby......I know they are thrilled.